It's PSLE oral today and tomorrow, IT has no school as the P1s to P5s need not go to school. 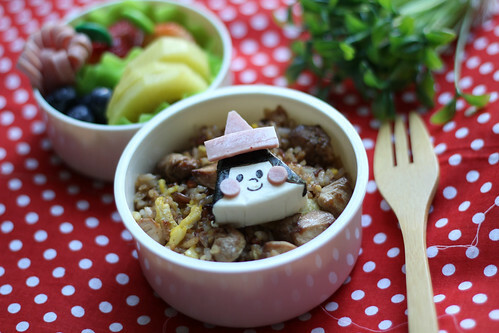 I only made a bento for LT, a super fast one today, chicken fried rice, LT loves chicken. 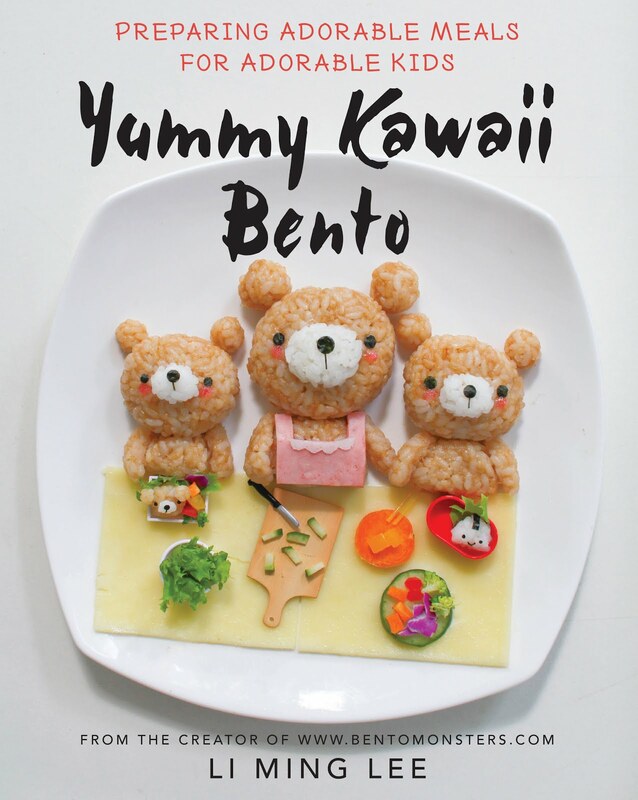 And I decorated a cheese as a little gal to decorate his bento. 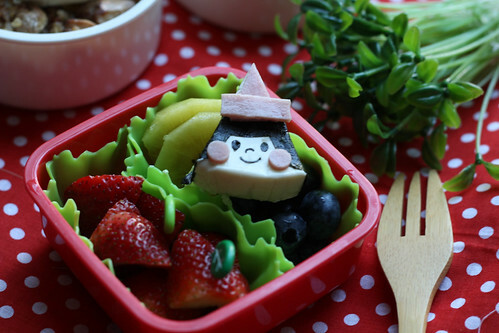 IT will be having lunch with me, I intend to bring him to the sashimi restaurant for lunch. Looking forward to spending some one-to-one time with him. I still have a lot of time left after I'm done with LT's bento, so I decided to make IT a fruit box. He can eat it after we fetch LT home.